--ANTI-ITCH FORMULA- Petlogix Anti-Itch & Hotspot Spray is made with a unique anti-itch formula that treats infections and itchiness in the skin. --TREATS DRYNESS - This pet spray contains natural oils like mineral oil, tea tree leaf oil, coconut oil, and turmeric oil that treats dryness of the skin. --FRESH SMELLING FUR & COAT- This spray contains natural perfumes extracted from flowers and plants that leave a mild and fresh fragrance in the skin and coat that makes your pooch feel fresh all day long. --100% NATURAL- This product is free from all sorts of synthetic chemicals, sulphate, paraben and other toxins that makes it 100 percent natural product which is safe for pets. 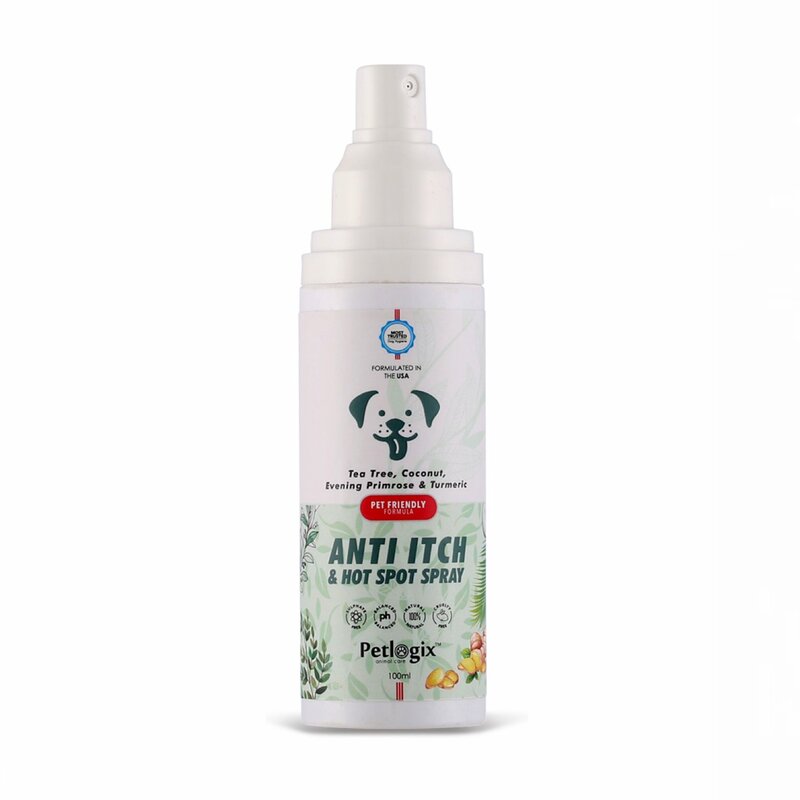 Petlogix Anti-itch & Hotspot Spray is an ideal product to treat itchiness issuing your pooch. This spray treats all types of infections in the skin of dogs. This spray contains botanical extracts like mineral oil, tea tree oil, coconut oil and turmeric oil that treats dryness and moisturizes both skin and coat. Petlogix Anti-itch & Hotspot spray contains natural perfumes extracted from flowers and plants that leave a mild and fresh fragrance in the skin and coat that makes your pooch feel fresh all day long. This product is free from all sorts of synthetic chemicals, sulphate, paraben and other toxins.